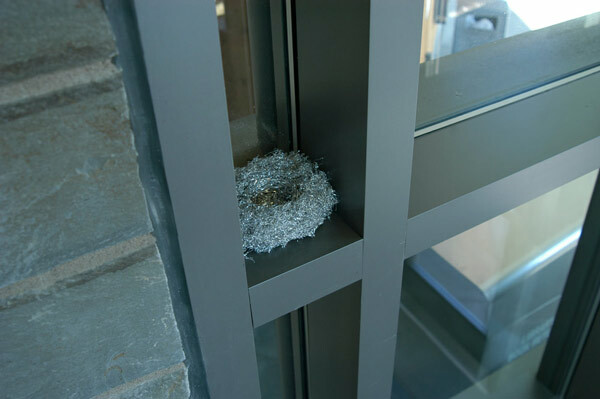 Mirror sculptures in aluminum of multiple bird species by artist Shea Hembrey. 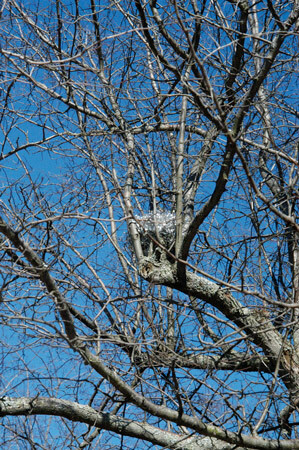 Nests. 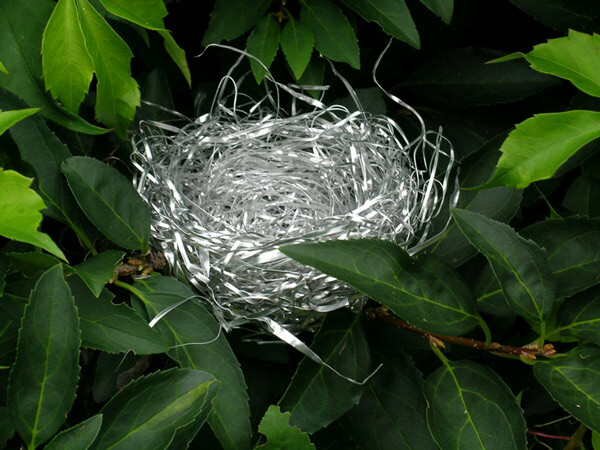 Installation/walk featuring handwoven aluminum nests. 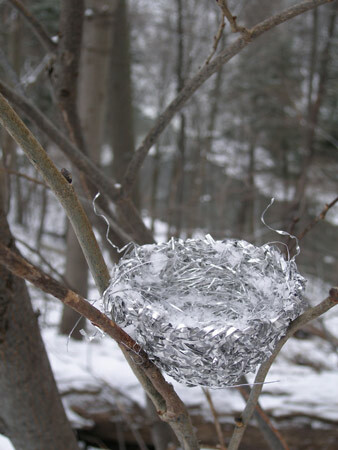 The nests replicate 30 different bird species’ constructions in weight and texture, and are placed in appropriate locations for each species throughout Sapsucker Woods—Cornell University’s Lab of Ornithology in Ithaca, New York.